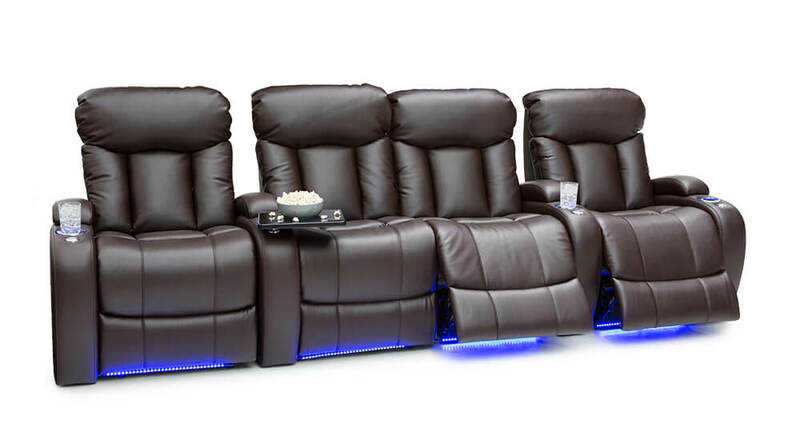 The Seatcraft Orleans Home Theater Chair is an ultra-padded seat from Seatcraft that’s designed to combine functionality, support, and comfort in one incredible package. 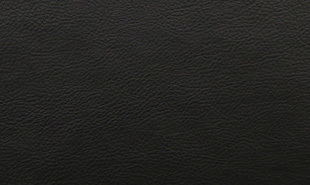 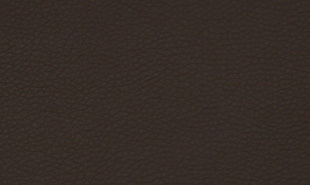 This chairs comes in brown or black leather gel, a material which has the feel and durability of high-end leather but at an affordable price. 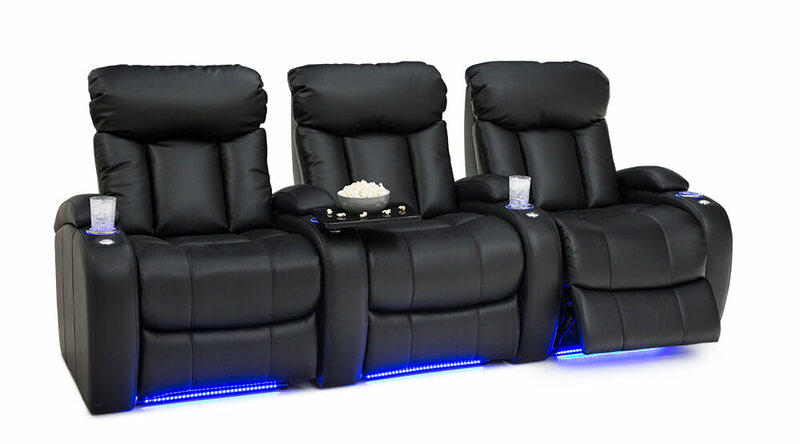 Choose power or manual recline, both include USB charging station to power all common devices. 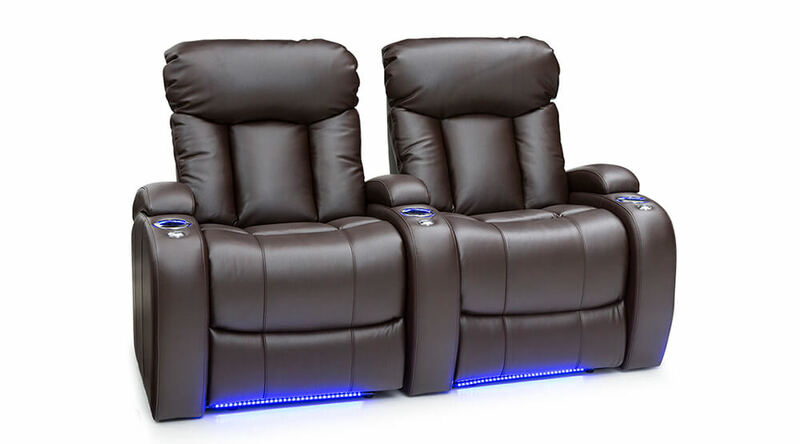 The Orleans highlights a three-section back with overstuffed headrests, with full bucket seating for premium lower body relaxation. 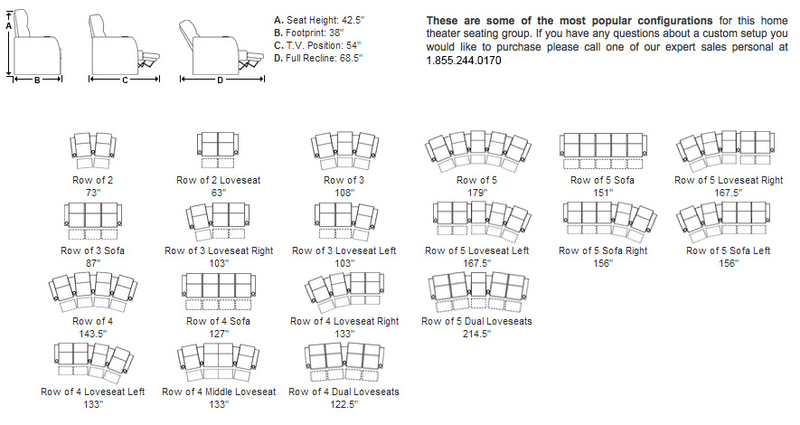 Wall-hugger seating allows the seat to remain in full recline, while sitting mere inches from the wall. . 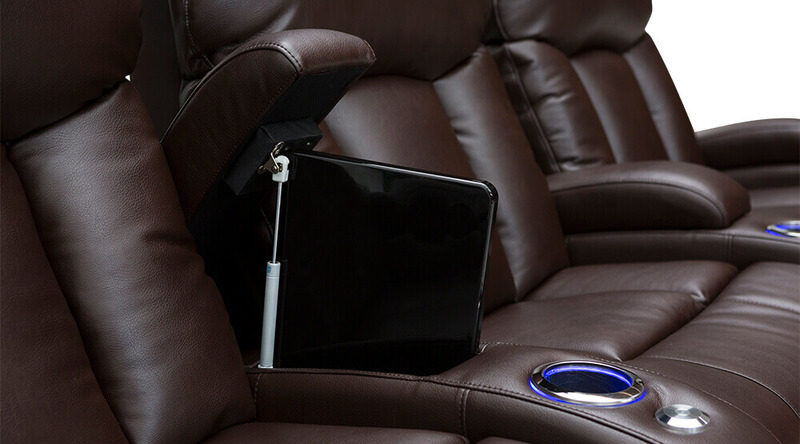 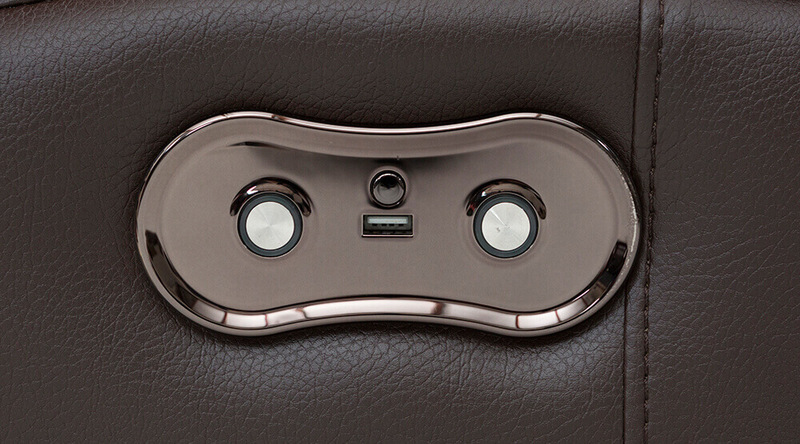 The arms includes a steady grommet for your FREE black tray table, also a hidden-arm storage opens gently to reveal plenty room to store any devices, remotes, movies, games, etc. 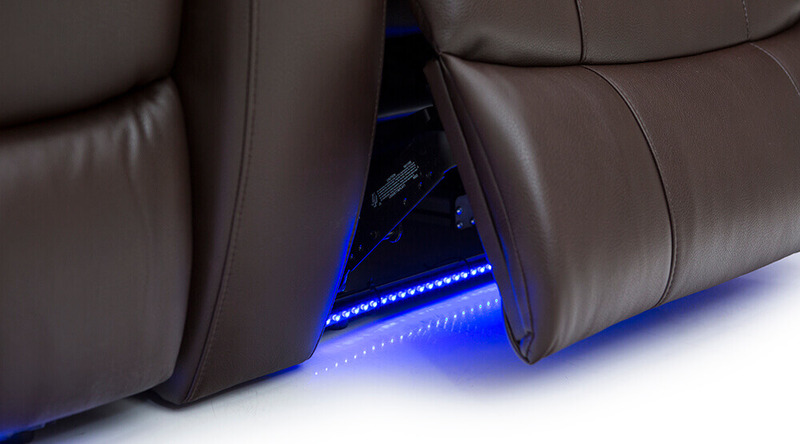 Finally, ambient base and cupholder lighting allows you and your guests to enjoy a discreet azure glow that will allow freedom of movement in the dark. 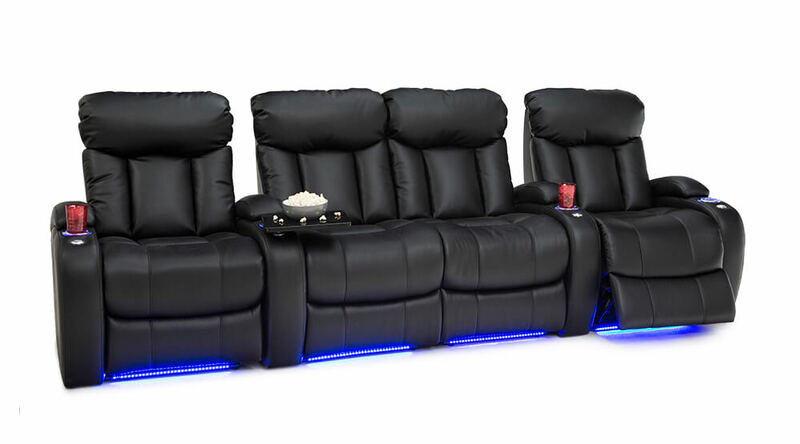 With the Orleans construction and features, all your home theater requirements will be met and turn into everyone’s favorite room. 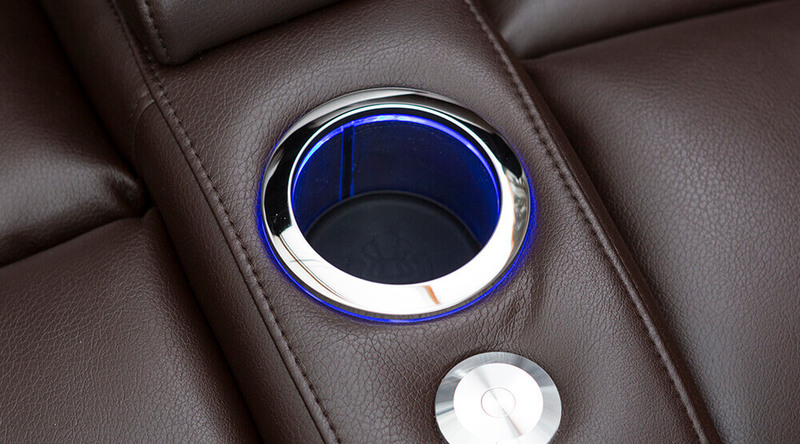 Ambient blue lighting for the cupholders to securely place your drink in the dark.